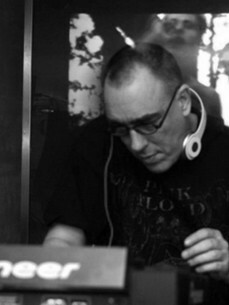 Andy's contribution to the dance scene began way back in 1990 in Scotland helping to organise early raves with Glasgow sound system Breach of the Peace. A move to Southwest England in 1994 saw Andy move from behind the scenes to behind the turntables where he fell in love with the burgeoning acid techno scene from nearby London. Andy honed his skills behind the mixer in many a field in Wiltshire and the South West, as well as more than a few warehouses in London.